We drive a whole new meaning to quality and affordability when it comes to Removal service. All our services are fully insured and perfect for whatever your needs are. 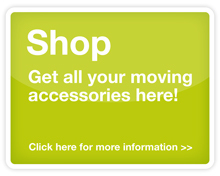 We are a family run business based in Northwest Industrial Estate and our motto is "Make Your Move - Our Move"! To compliment our Self Storage business we have decided to expand into Home and Office/Business Removals market which includes moving home and moving to Dublin facilities as well. To date we provide an excellent domestic and commercial removals service which our customers can afford. Our track record stamped us as a fastest growing company across Dublin and throughout Ireland in 2012. Here at Cheapremovals.ie we always try to be as flexible as possible to accommodate our customers. If removal service is not your thing - we offer van hire and/or truck hire service for both businesses and private users who require commercial transport vehicles (trucks and/or vans) for short or medium term periods in Dublin or throughout Ireland at competitive prices. Our trained and professional staff will be pleased to offer advice and provide the best transport solution for you or your company. In addition all our vehicles are fitted with tail lifts to minimise heavy load lifting. Are you looking for help with moving your belongings into storage or perhaps new address? Let's face it moving house or home for anyone can be a very stressful time. So why not let your move be our move? 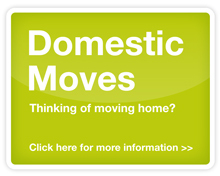 We specialise in home to home removals or in fact any kind of domestic moving including furniture removals. At Cheapremovals.ie we can provide van or truck hire or a complete removal service at prices that don't break the bank. Call us today - we offer advice & our pre-move survey free of charge. 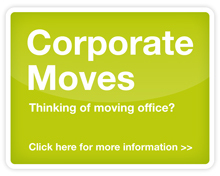 When it comes to moving employee(s), company offices and/or facilities, complete business or corporation moves - choosing the right business movers for the job can be difficult. 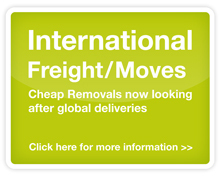 At Cheapremovals.ie we understand the frustration and concerns surrounding business move. We can and do - move you and/or your business company or office(s) in timely and disruption free fashion. So why not call us today to avail of our free, no obligation survey & consultation. Due to popular demand - we now provide a professional and reliable packing service as part of our removal services. And if that isn't enough - now you can find some of the best prices on quality packing supplies; including storage & packing boxes; bubble wrap; furniture covers; packing tape; and much more in our online shop. At Cheapstorage.ie we use these products - and now you can save yourself a bit of money too. At Cheapremovals.ie not only are we a removals company but also have excellent self storage facilities too. If you have more stuff than you can handle or just need more space. We provide fully insured, secure, professional and reliable self storage services all in one convenient Dublin 15 location. We are now proudly provide weekly Dublin - UK delivery service. So if you require a transport company or delivery company look no further than Cheapremovals.ie. We can guarantee a reliable Dublin - UK delivery service on a weekly basis no matter what the load size. We are Dublin fastest growing transport company because we bring value to the customers. We plan your delivery around our loads and ensure your UK delivery arrives on time and on budget.